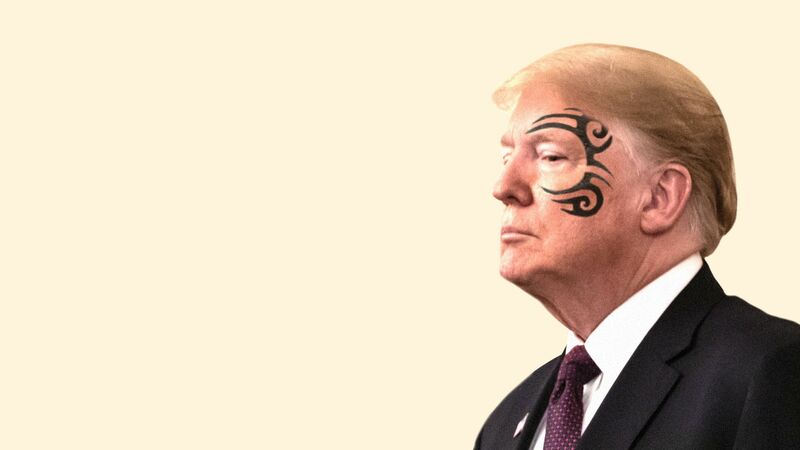 When a frustrated adviser once tried to convince President Trump to consider a strategic plan, the president launched into a story about his friend Mike Tyson, the former world heavyweight boxing champion. What he's saying: "Everybody has a plan until they get punched in the mouth," Trump said, echoing a famous Tyson quote. I had asked the adviser whether Trump ever expressed frustration that his West Wing lacked enough of a plan for the crises ahead. "He gets frustrated when there is a plan," the adviser said. "He’s not a guy who likes a plan. ... There’s an animosity towards planning, and there’s a desire to pick fights that have nothing to do with us." Trump used the Tyson quote as evidence that detailed strategic plans are pointless and said, in the adviser’s recollection, "We’ve just gotta fight every day and that’s how we win." "We can plan all this stuff out but it’ll change," the president continued. "So let’s just not go through the effort." The adviser said that Trump's "main view was that all this stuff wasn’t predictable, ... which is unfortunately not accurate. ... It absolutely is predictable." A second source, a senior administration official, confirmed Trump has used that Tyson quote to make his point about the pointlessness of planning. A third senior official insisted that the Tyson example is not entirely representative and said that while Trump doesn’t personally like discussing plans he likes to know there is a plan. Other officials insist he prefers to wing it, keeping loose and flexible and avoiding locking himself into even the vaguest plans. For Trump’s part, he often claims there is a plan, but he just won’t reveal it. During the campaign, he said he had a secret plan to defeat ISIS. Trump tweeted Saturday: "I just watched a Fake reporter from the Amazon Washington Post say the White House is 'chaotic, there does not seem to be a strategy for this Shutdown. There is no plan.' ... I do have a plan on the Shutdown." Why it matters: Trump's aversion to planning has been evident throughout his administration. You see it now with his handling of the shutdown, which he entered without a clear conception of an exit ramp, according to aides. How Trump tormented Mattis over Iranian "fast boats"